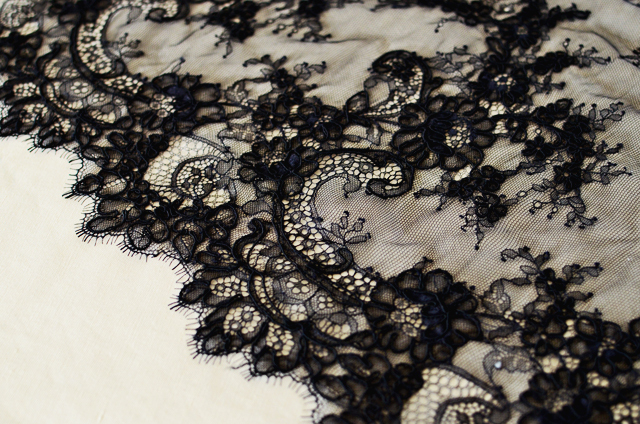 Today's Fabric Friday is another lace pick. Alençon Lace. It's almost like cheating really to be talking about Alençon Lace today. Why? Because it's basically Chantilly Lace that is corded (and we talked about Chantilly last week, in case you missed). How do you pronounce Alençon? alan-sohn. Now you can sound smart when you're asking for it at your local high end fabric shop! Again, Chantilly Lace is when the design/motifs - like the florals - are woven into the lace itself instead of being embroidered on. With Alençon, you've got some nice cording that is applied to the motifs. It's usually a relatively heavy cording, because sometimes Chantilly's can have very very light cording. So you're looking for something much more textural when you're looking at Alençon. Chantilly's are flat laces. Alençon's are corded to add texture, richness and density. Cording is technically called Cordonnet, just in case you were wondering. I thought for today I would give you some more lace geekery. These terms can be applied to all laces. I've been talking a bit about when laces have a decorative edge - like scallops - running along each selvedge edge. When you have one decorative selvedge edge the lace is called flounce and when both are decorative it's called galloon. That's good for today's lace geekery, I think. Do have any Alençon Lace? I find it looks quite rich - definitely needs to be paired with the right thing, in my opinion. Hi Sherry! 4-ply silk that is satin backed is called crepe back satin, otherwise 4-ply silk is crepe on both sides. I don't know exactly what you mean by purchasing fabric on a roll, maybe you're thinking it won't be wide enough? I've usually seen lace that is 36" - 56" wide so you just need to pay attention to the descriptions and see what they say. No sure where you can purchase antique white lace. Definitely purchase swatches before purchasing lace online to ensure color and quality. Lining will depend on the type of fabric you use. Are you thinking that you would like to use a stretch lace and therefore thinking that you would like to use a stretch lining? Stretch linings are so hard to come by, I suggest swimsuit lining in that case. 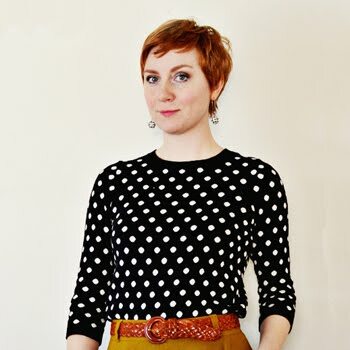 If you're using woven fabrics (no stretch) then I suggest rayon bemberg lining - my favorite! Sounds like a re-embroidered lace trim eimear. You might consider mixing laces, which is fun. You can attach this lovely lace to another or chop it up for the appliques and add those to an existing lace piece to give it pizazz and excitement. This kind of work is a little tedious but it makes for some thing truly sensational and of course very unique. I'm considering doing some more lace posts on how to do things like this. 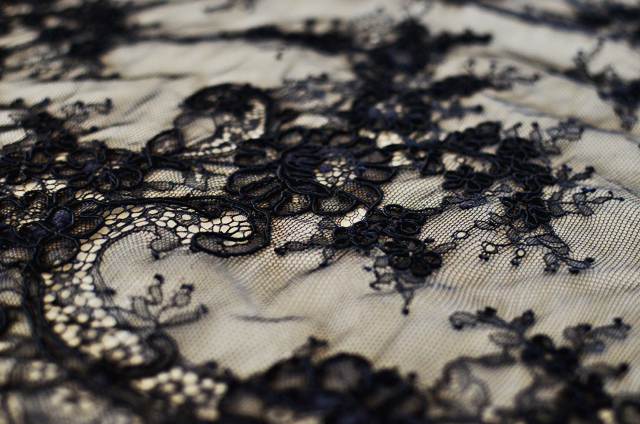 i think this is the prettiest lace I've ever seen. Hi Sunni! Very interesting article. I know nothing about lace, so this is all new to me. On a totally unrelated note - just wanted to throw out how much I've enjoyed the zipper class on Craftsy. Not until I actually got into it did I realize that you give so much information about attaching zippers to lined bodices, etc. so this has been great! You did such a good job at explaining what you were doing, going methodically from one step to another, and thankfully making sure that the fashion fabric and lining were quite different from each other so the viewers can easily tell which is which. My first attempt at lining a skirt (BEFORE watching your class!) was less than fantastic.. ahem... but I learned a lot anyhow. Next time I will review your lessons and I am positive the result will be much better. Might be time to splurge and get some fabric, perhaps some of the selections from your store will find their way to my house. :) Oh, do you still go back and answer questions that are posted on the Craftsy class?